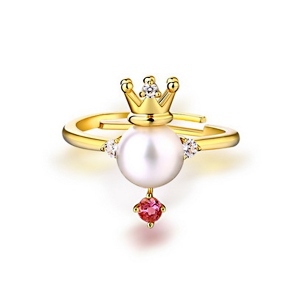 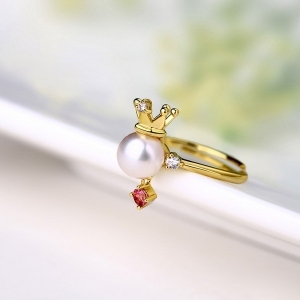 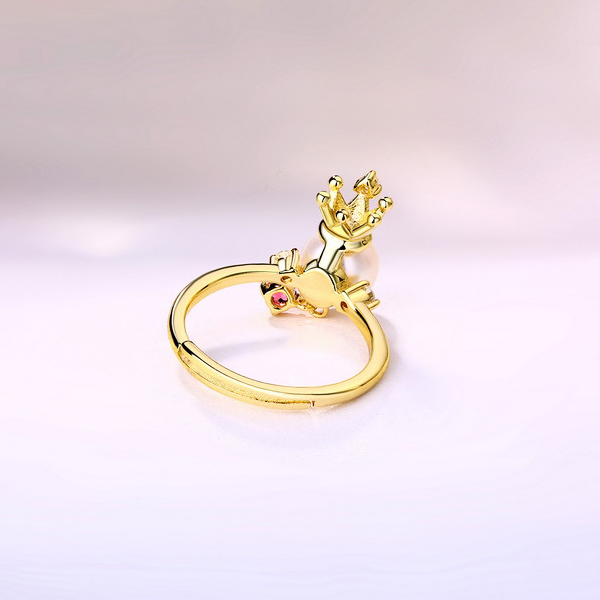 Sassy and stylish, this Pearl Crown Ring is a charming look she's certain to adore. 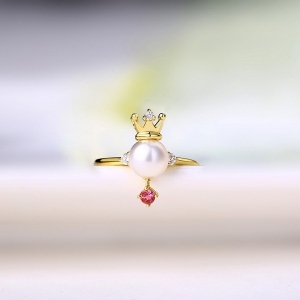 This Pearl Crown Ring is made from high quality Sterling Silver 925. The designer symbolize the noble rights of the crown, adorned with round natural pearls, coupled with the lively, elegant playful and unique natural powder tourmaline. Make it a wonderful gift for any occasion.